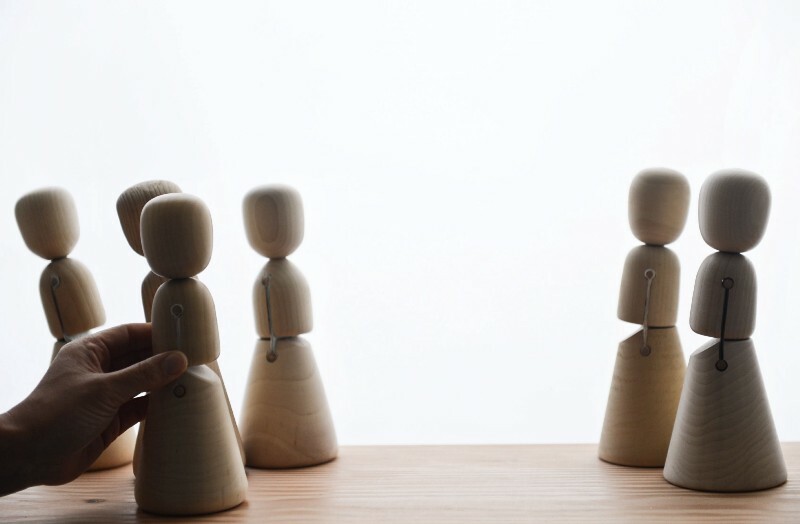 Three years ago, after Fukushima nuclear disaster, architect Kengo Kuma and East Japan Project proposed to collaborate with this region creating an object with the savoir-faire of craftsmen from the East of Japan. 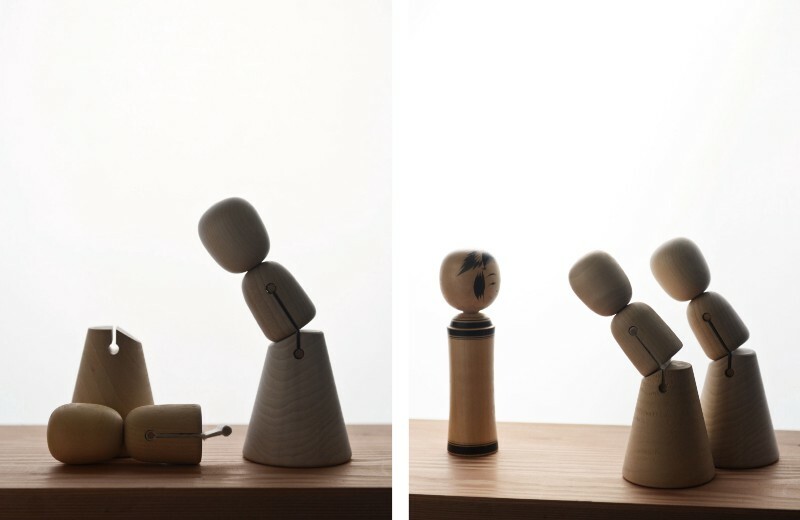 For this occasion, we designed a version of the traditional Kokeshi doll. During a trip to Japan, we saw an exhibition about Japanese animal figurines. 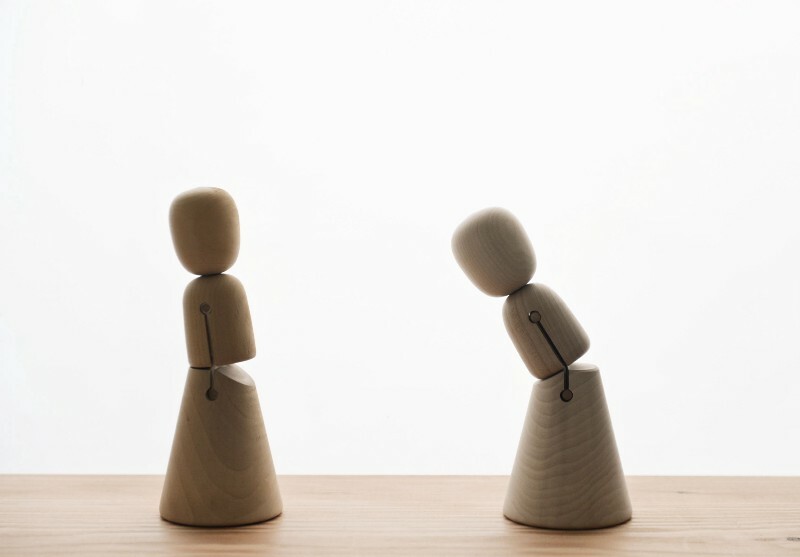 These small statues with different expressions made from different materials, connected us with the craftspeople; we were deeply moved by the simple and affectionate presence of their art, which has been passed on from their ancestors. We are also passionate collectors of books about Japan’s popular objects. We love to look them through to discover the quiet sophistication of objects. 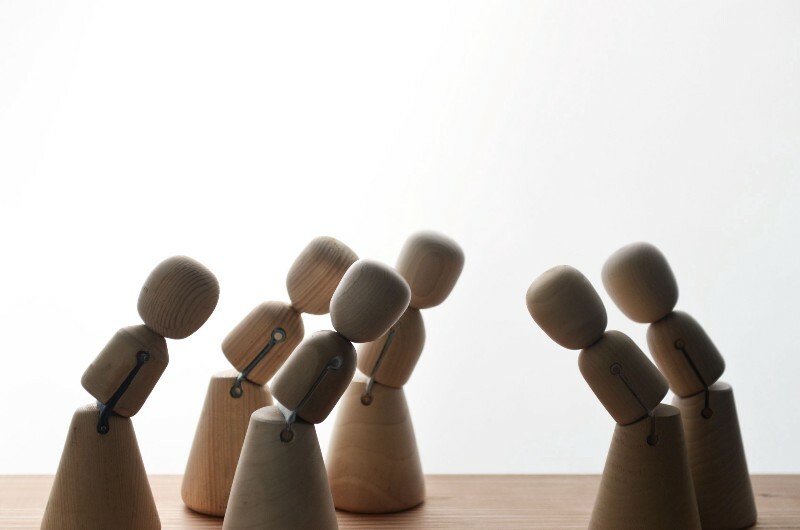 When some years ago we designed the Oiseau for Vitra, it was in some way a continuation of this bestiary. 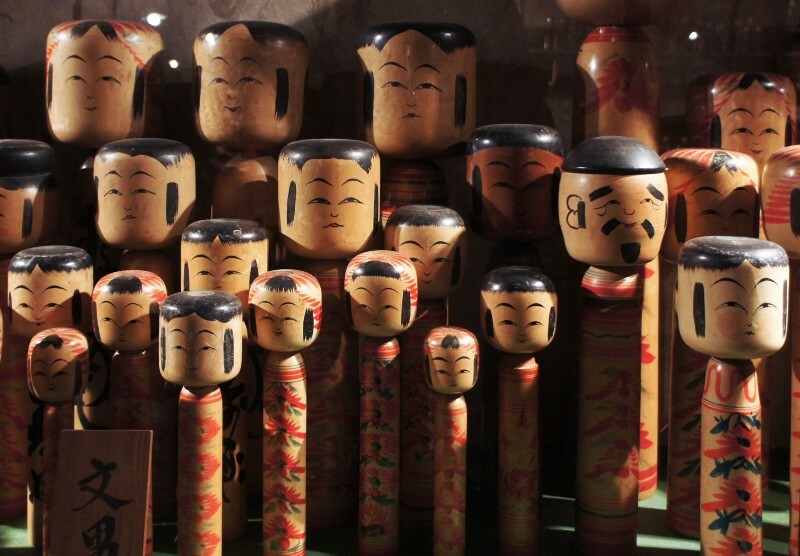 So when we started to work on the project for East Japan, we were naturally drawn to traditional Kokeshi manufacturing — wooden dolls created a hundred years ago by craftsmen in Tohoku region in northern Honshu. Their roundness, which we see emerging from each of the spins of the woodturning, has barely changed since. 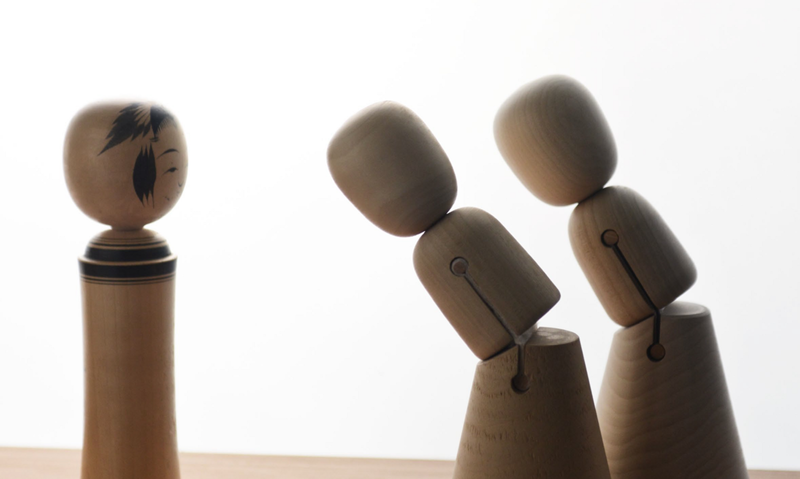 We breathe movement into the doll with a single articulation; wood comes alive and mimics the movement of a friendly Japanese greeting. The know-how of craftsman Fujisato Woodcraft and master Eihiro Sato made it possible.